We believe in transparency. 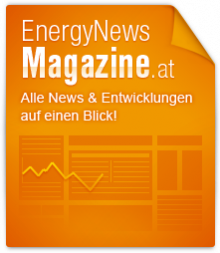 CISMO's EnergyMonitor keeps you up to date with fast moving markets. It gives you one-click access to a unique store of power and gas data from a wide range of sources. The Austrian balance group coordinator for the gas markets is responsible for publishing data from its control areas. AGCS posts this data on its webstie in the form of Excel spreadsheets, and also uses EnergyMoniots to present is in an appealing, accessible manner. The Austrian balance group coordinator for the power markets is tasked with publishing data from its conrtol areas. APCS makes the data available on its website in the form of Excel spreadsheets, and also uses the EnergyMonitor to package it in attractive, easy to understand formats. CISMO and the Austrian balance group coordinators AGCS and APCS believe in Transparency and the Open Data Initiative. Therefore, all time series in the "Open Data" section are licensed under a Creative Commons license. The prestigious "Energy Transparency Award 2013" was granted by the Florence School of Regulation to CISMO for its contributions to transparency in the liberalized energy market. CISMO was considered as a "good example of how innovative companies can benefit from energy liberalisation". Encouraged by this award, CISMO will continue on its path to innovation and transparency in the energy market. Gas reports "TIR & VBG"